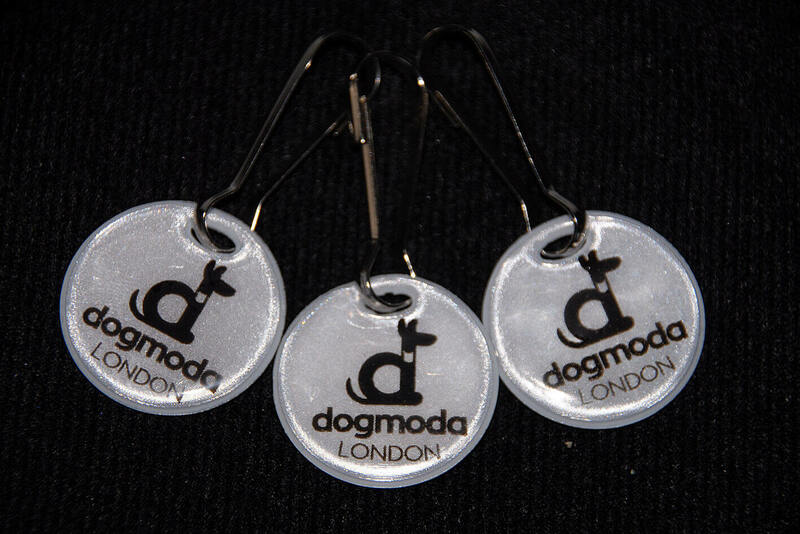 A pack of three small reflective danglers with a paw design for attaching to your pet collar, dog lead, as well as your own clothes and bags. 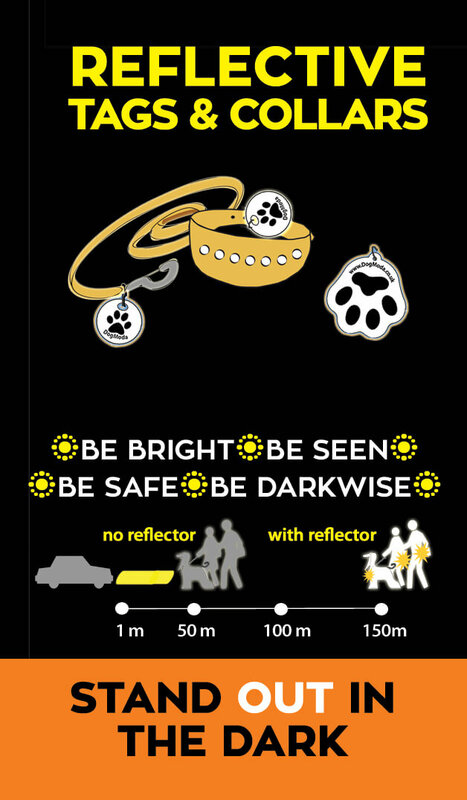 Increases your visibility and safety to oncoming traffic in dark and low light conditions up to 3 times. 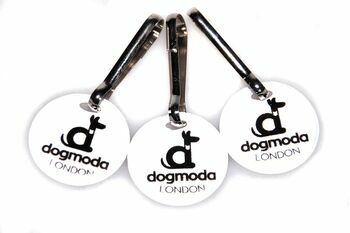 Reflective collar tags are essential safety wear on night time walks and make great functional and thoughtful gifts for friends and loved ones. Reflective on both sides and made of high visibility prismatic PVC. Size: 25mm (1" inch) in diameter. Pack of 3 reflective tags. These stylish reflective safety dog paw danglers can save lives by making you and your hound visible to oncoming traffic from as far as 300m away. I just want to say a big thank you for so promptly sending my order. Special thank you for two reflector tags, they are very functional indeed.